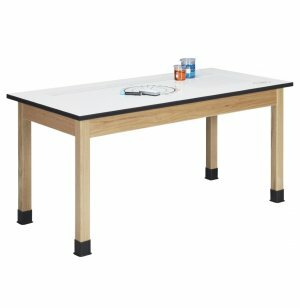 Attractive oak wood legs make this whiteboard STEM table an appealing choice for any science lab or makerspace. 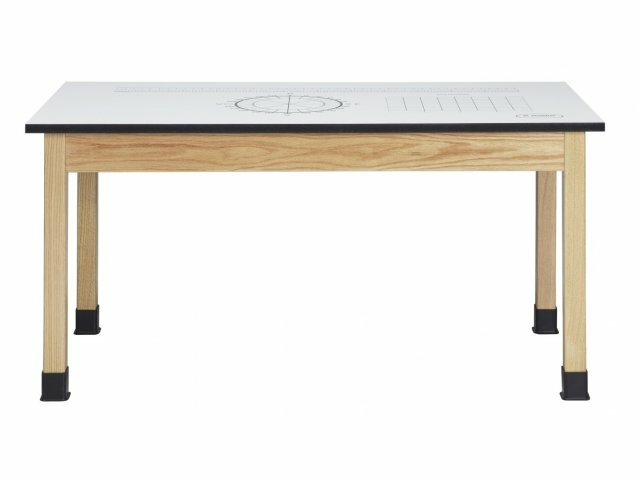 Let your students sit down and record their data at these innovative Imprint Whiteboard STEM Tables. 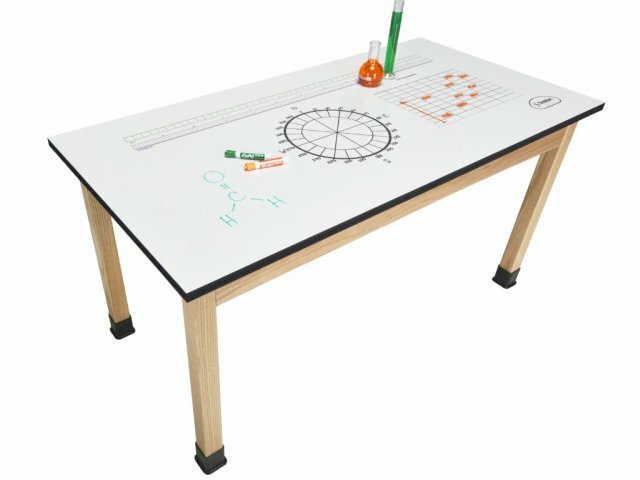 The compass, meter and yard rulers, and graphs, printed directly on the erasable work surface are perfect for your curious, budding scientists and engineers. Students can keep track of their results right on the tabletop, and easily share them with their partners. 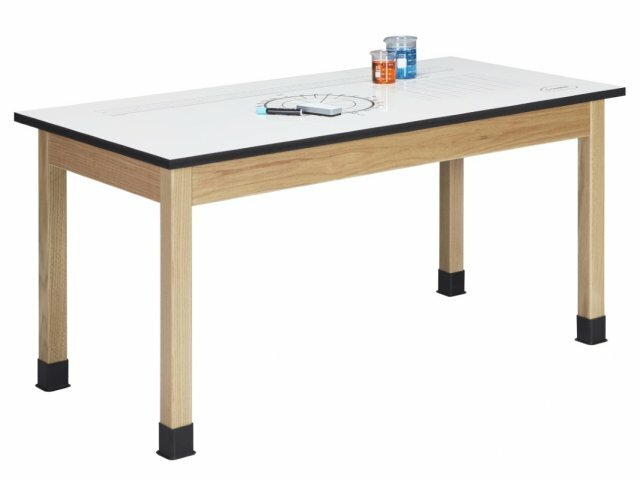 With the exponential growth in the popularity of STEM, it is a comfort to know that these whiteboard school tables are with you for the long haul. The solid wood apron and legs have an attractive, chemical-resistant, UV finish. 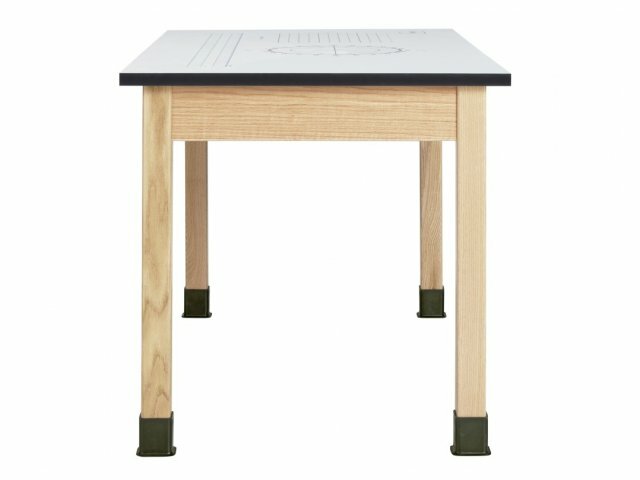 Protective leg boots prevent damage from stains and spills on the floor, while adjustable leg levelers ensure that your young experimenters have an even surface to work on. Acrylic is a relatively lightweight and durable plastic, which is stronger and safer than glass. Perfect Size: Fits 2 to 4 students. Innovative Design: Erasable, high-pressure laminate, whiteboard surface, includes two kinds of graphs, meter and yard rulers, and a compass. Smooth Finish: Solid wood legs and apron have a chemical-resistant, earth-friendly, UV finish. Leg Protection: Rubber leg boots prevent damage from spills. Even Surface: Non-skid, adjustable leg levelers keep the work surface flat, even when the flooring is not. Note: The top imprint images are nominally correct (the measurements may not be exactly as shown). Custom Options: Custom graphics available, such as custom charts, graphs or school logo (minimum order 4 tables). Call for details.